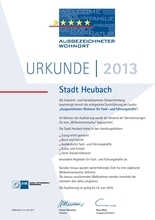 The Chamber of Industry and Commerce of Ostwürttemberg certifies the successful completion of the audit “Ausgezeichneter Wohnort für Fach- und Führungskräfte” (Excellent place of residence for professional and managerial staff). The aim of this audit is to appraise the services offered by the town and determine if they participate to the creation of a “welcoming culture“. In addition to this, further goals of a welcoming culture have been defined. The resulting measures will be implemented within the next three years. The audit certificate is valid until May, 1st, 2021. The certificate can be viewed or downloaded here (123.6 KiB). Heubach is home to many companies from different sectors: Textile industry, Automotive suppliers, one brewery, construction companies etc. In addition to this, a lot of smaller businesses and well-assorted retail complete the wide range of companies. It is certainly worth mentioning the world-famous company Triumph International AG. 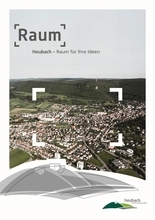 Heubach is located between the three cities of Schwäbisch Gmünd, Aalen and Heidenheim. All conveniences of these city areas are just a short car ride away. With a special school, two primary schools, a community school, two high schools (technical and general) and a music school, Heubach offers the best education opportunities for our offspring. The highway junction of the A7 can be reached in about 20 Minutes. The B29 is only 3 km away. A Train station is only a 5-minutes drive away. Additionally, Heubach airport offers globally operating companies the best opportunities. The favourable weather conditions make it possible to land at our airport while neighbouring airfields are immersed in the fog. Private pilots also enjoy our airport because of its competent staff, wonderful setting in the Swabian Alb, not to mention the airport’s pizzeria. The leisure facilities and infrastructures of the town under the Rosenstein are well-known across borders. Heubach’s many associations offer many recreational activities. 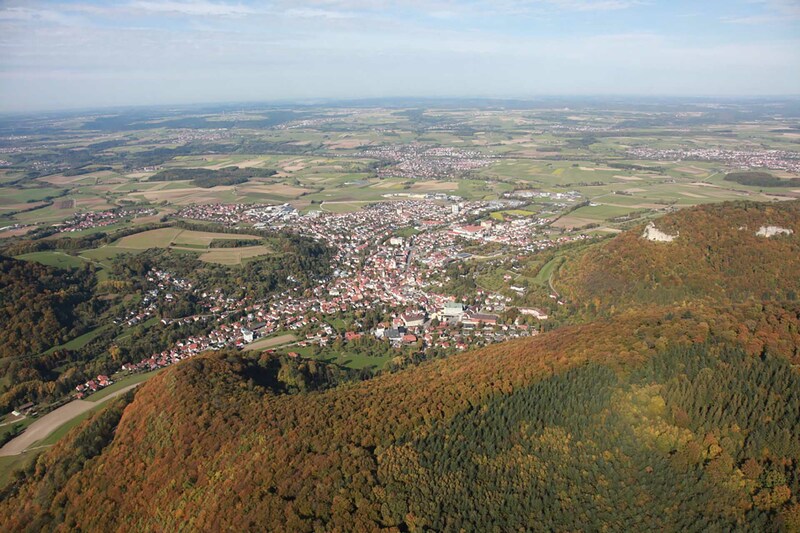 Mighty rocks, pre-Christian ring-walls, castle ruins, rare plants and a beautiful view make the Rosenstein Mountain a worthy travel destination surrounded by poetry and legend. Well-developed trails, beautiful views, juniper heathlands, valleys and mountains will thrill any hiker and nature lover. The high number of caves and bizarre grottos is unique. Even today, the Rosenstein and its surroundings fascinate hikers, biologists, spelunkers, prehistorians, historians and regional ethnographers to the same extent. Many legends surround this rugged mountain and its castle. On a clear day, it is possible to see the northern Black Forest behind the Schurwald mountain and Remstal valley. - In the Tumach valley: the “Teufelsklinge” (Devil’s Valley). - On the Scheuel mountain: the “Jakobshöhle” (Jacob’s cave), “Fastnachtshöhle” (shrovetide cave) and “Enges Loch” (narrow hole). Besides nature, Heubach also has a lot to offer to the curious mind: the museum of local history and corsetry (Heimat- und Miedermuseum), the police museum and the “Haus Vetter”. Come and visit us and you’ll discover a lot more!